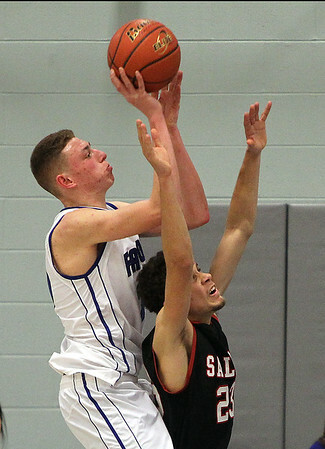 Danvers senior center Peter Merry, left, shoots over Salem senior Bryan Martinez, right, during the second half of play. DAVID LE/Staff photo. 1/16/15.